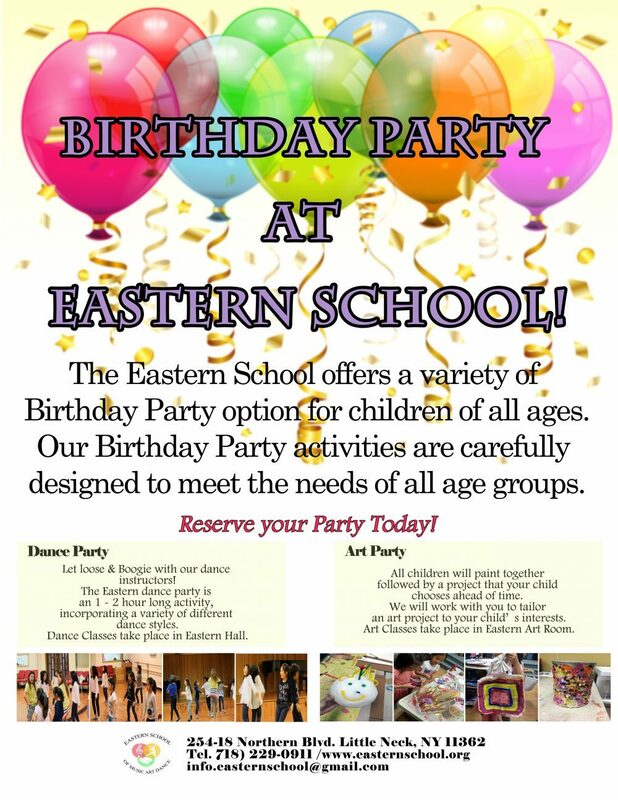 Eastern School now offers Birthday Parties at our School! We have 3 packages: Dance Party Package, Art Party Package, and Hall Rental Package. Days available are Saturday’s and Sundays from 5PM-8PM.